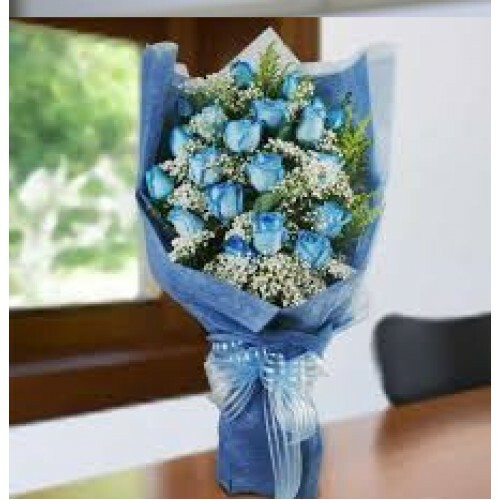 15 Blue Rose Bouquet with foliage and filler flowers. Our florist hand selects 15 Long stemmed fresh Blue Roses and trimmings including gyp, and mixed greens and arranges it into a traditional flat bouquet. It will arrive in floral foam around stems to keep fresh and is ready to be put into a vase. Beautiful and stunning and sure to impress.